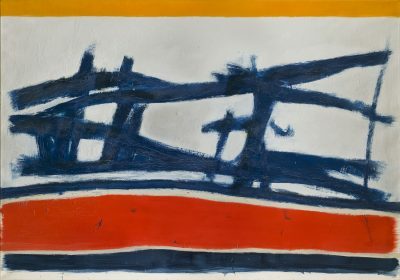 Jack Tworkov was a founding member of the New York School and is considered among the group of influential artists, including Willem de Kooning, Philip Guston, Jackson Pollock, and Franz Kline, whose gestural paintings of the 1950s formed the basis for the Abstract Expressionist movement in America. From 1948 to 1953, Tworkov and de Kooning had adjoining studios in Greenwich Village and the two were friends and surely influenced one another’s work. Born in Poland, Tworkov immigrated to New York City with his family when he was thirteen years old. As a teen at Stuyvesant High School in New York, Tworkov began sketch- ing after school with his mechanical drawing teacher. Shortly after, he began to paint. Tworkov went on to study at Columbia University from 1920 to 1923, majoring in English. He loved poetry and writing and filled many journals with notes throughout his lifetime. He left Columbia to spend two years at the National Academy of Design and a year at the Art Students League. From 1935 to 1941, he worked in the Easel Division of the WPA Federal Art Project, which is where he first met de Kooning. He also served in the military in the 1940s, working as a tool designer, causing him to take a break from his painting career. 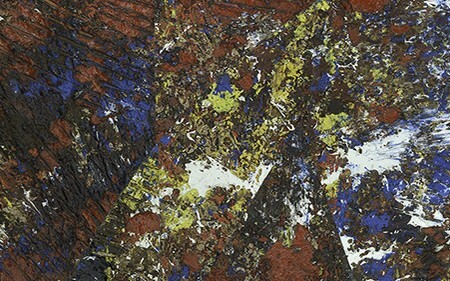 Tworkov was included in the groundbreaking exhibition known as the Ninth Street Show, held in the spring of 1951. It was the first time the post-war New York avant-garde artists of the New York School collectively showed, and it was a great success. Famed art dealer Leo Castelli, who represented Tworkov, organized the show. The transition to life in America had been difficult for Tworkov as a child living in the tenements of the Lower East Side, but in his twenties he found a great sense of community among the artists in Greenwich Village and later in Provincetown, Massachusetts. He established a permanent studio in Provincetown in 1958, working there from May through November for the remainder of his life. A great intellect and critic, Tworkov was an educator, serving as the Chair of the Art Department at Yale University. 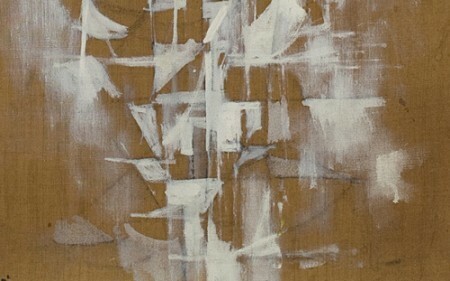 He also taught at Queens College, Black Mountain College, Pratt Institute and the American Academy in Rome. Artists Jennifer Bartlet, Robert Mangold, Chuck Close and Nancy Graves are some of his well-known students. 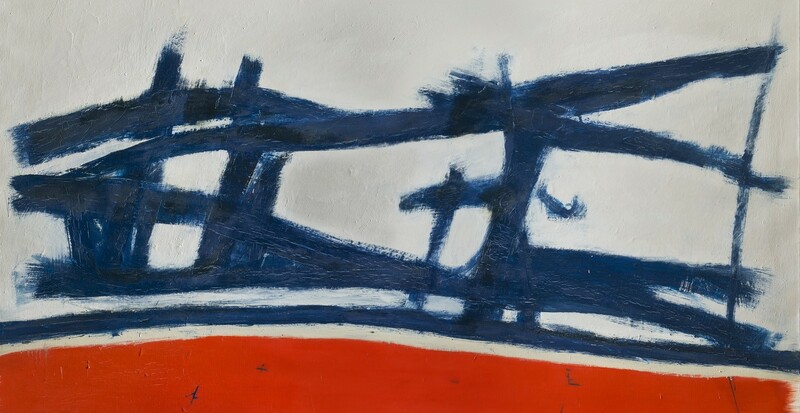 While his early works were mostly still lifes and figurative subjects and his later geometric works were considered Minimalist, Tworkov was best known for the fiery expressionism of his canvases from the late 1950s and early 60s. 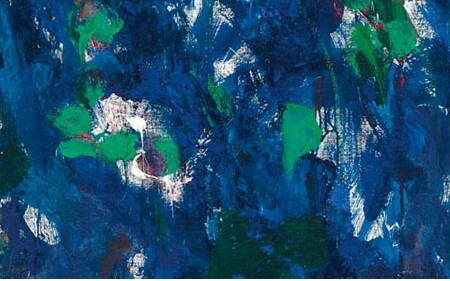 Most of his greatest large abstract canvases from these years can only be found in museum collections, such as the Art Institute of Chicago, the Detroit Institute of Art, the Museum of Modern Art, New York, the National Gallery of Art, the Phillips Collection, the Seattle Art Museum, the Smithsonian American Art Museum and the Walker Art Center.